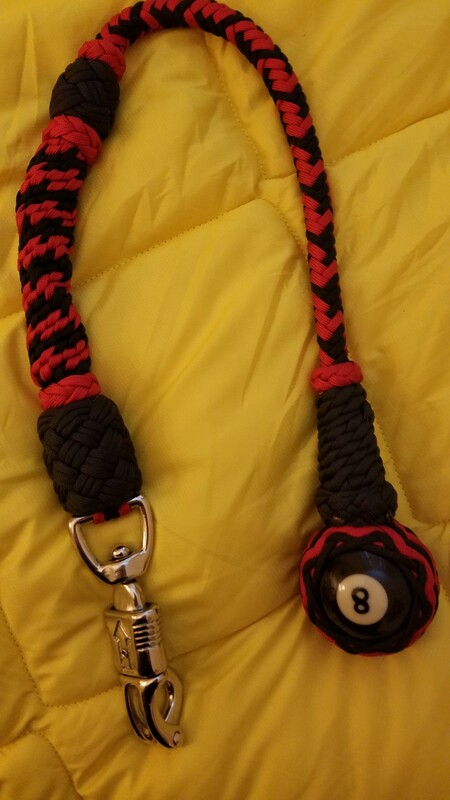 I took a break from the Lone Star whip I’ve been working on for my nephew and made this Magic 8-ball get-back whip for a firefighter friend of mine. 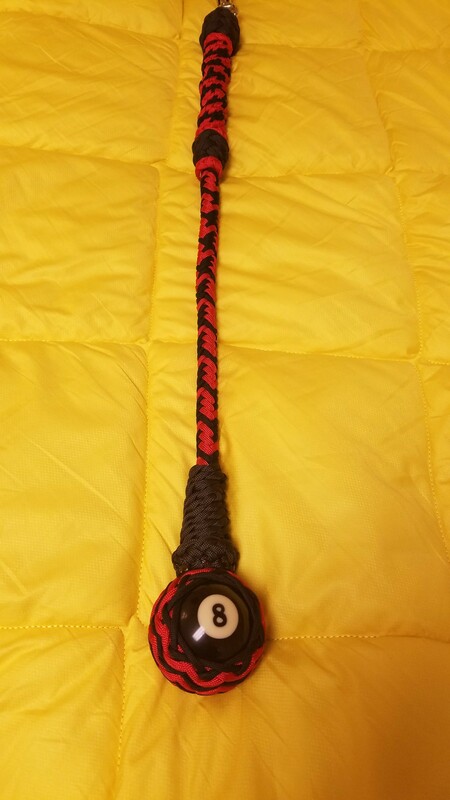 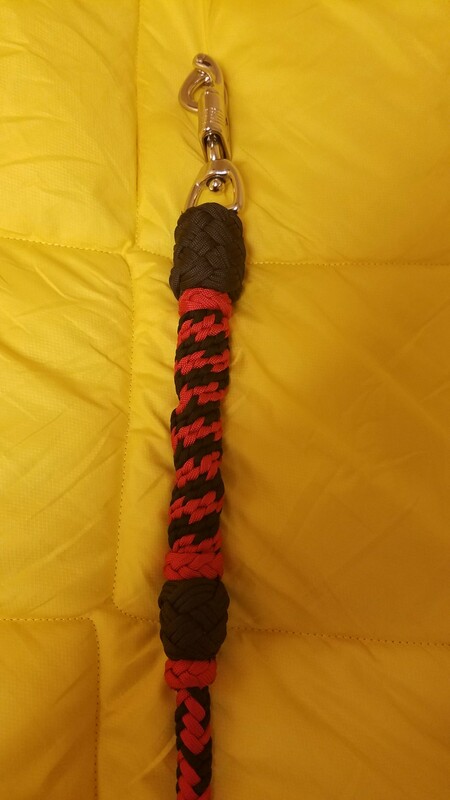 The whip is 30″ long in red and black with a panic snap on one end and a regulation 8-ball on the other with a 4-strand paracord core connecting the two. 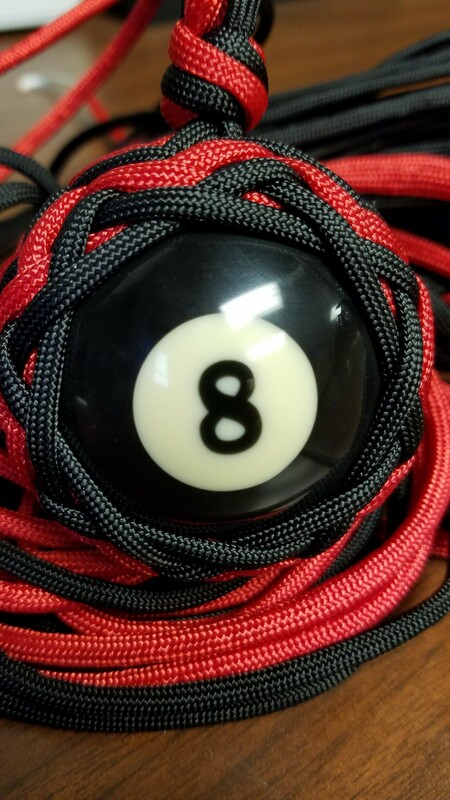 The 8-ball is contained by a 9×8 Turk’s head with a herringbone interweave. 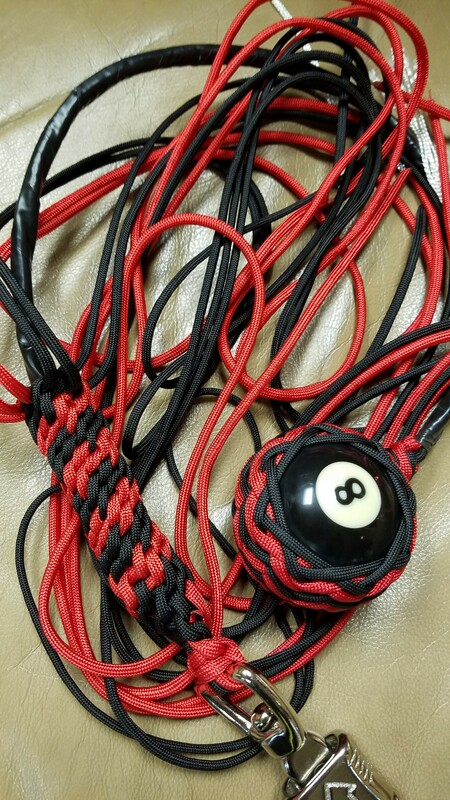 and the body of the whip is an 8 strand herringbone plait.